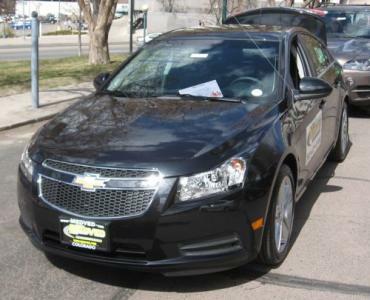 The Cruze was the best-selling US compact priced as low as $16,525, right between the Corolla and the Prius, and still delivering roughly 30 miles to the gallon, if not more. An article posted on GulfNews.com today, attributed only to Bloomberg, cites Mike Sussman as representative of the buyers bringing General Motors back into the compact car business. A 45-year-old systems analyst in Southfield, one of the many suburbs of Los Angeles, just traded his Toyota Prius for a new Chevy Cruze, reportedly wanting more power while still getting good mileage. "I was very, very leery about buying US, to be honest," Sussman is quoted as saying. "They got me with the mileage. It actually drives like a regular car. With a Prius, you always feel like you're driving a science experiment. It just doesn't have a lot of guts." The company's rise in the small car market, never one of the auto group's outstanding attributes, is a portent of the automaker’s revival and economic viability. GM's U.S. market share expanded to 20 percent in the first seven months of 2011, from 19.2 percent over the same period last year. According to Autodata, passenger cars accounted for 42 percent of GM’s sales, contrasted with 39 percent last year. Have you played Shadow Hearts: Covenant? ?